This year's IPF was visited by nearly 400 guests: insurers, reinsurers, insurance brokers and agents, bankers, and more. Overall, around 70 companies were represented, half of which collected awards in such categories as best insurance product, best health insurance company, or most experienced CEO in an insurance company. 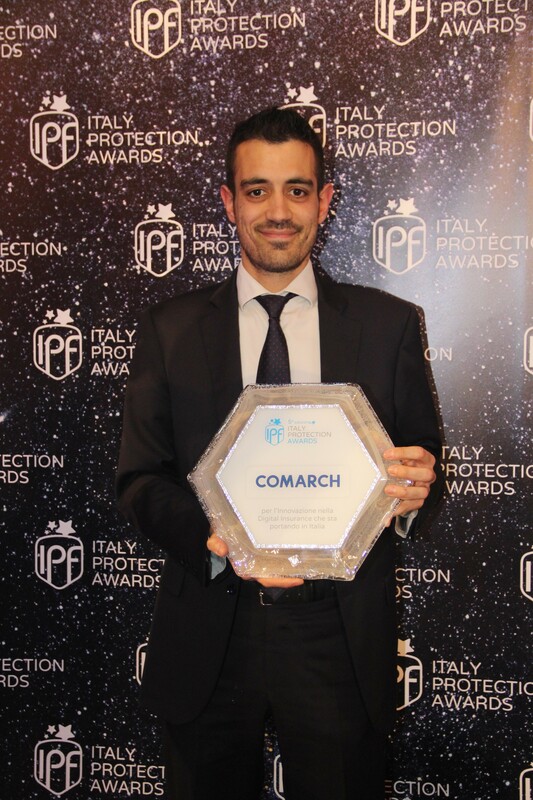 Comarch was awarded for carrying out a complete digital transformation for one of major insurance groups in Italy. The merit is related directly to Comarch Digital Insurance (CDI). It is, on one hand, a system dedicated to agents, brokers or intermediaries, helping them not only advise on and sell insurance products, but also provide post-sales support, manage their tasks and monitor own business performance. The award for Comarch was given by jury composed of insurance and banking sector professionals as well as industry journalists. It was handed to Emanuel Sitzia - Business Development Manager at Comarch Italia.